Used 2016 Mercedes-Benz Sprinter Passenger Vans 2500 144" for Sale in Denver CO 80220 Weisco Motorcars, LTD.
2016 Mercedes-Benz Sprinter Passenger Vans 2500 144"
2016 Mercedes Sprinter 2500 Passenger van with the 4CLY Diesel and only 5,259 miles. This Sprinter has room 10 in the back and has the rear A/C on the roof and still looks like new inside. Has nice options like: Keyless entry, Back up camera, power windows, power door locks, A/C, CD player, and much more. The hood has some light hail but other than that it is in very nice shape on the body and paint. Call Weisco Motorcars for more info or to set up a time to stop by for a test drive. 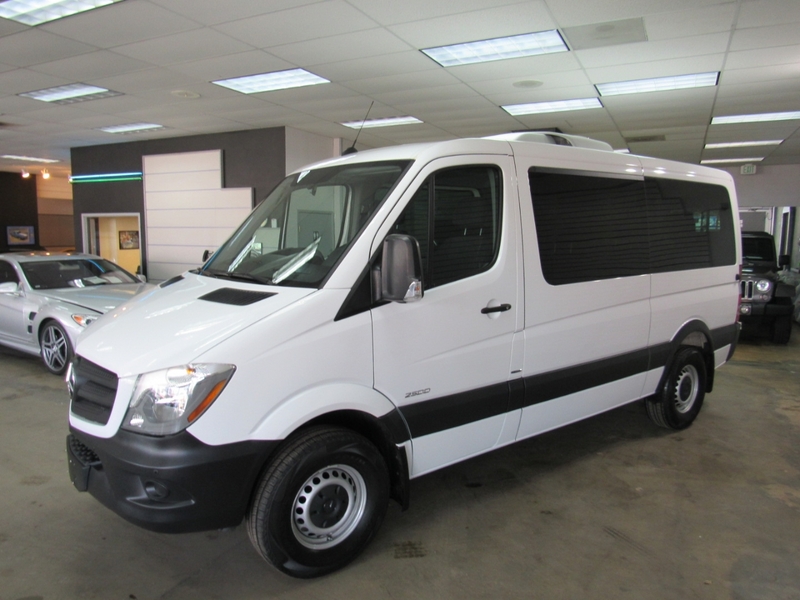 Vehicle Inquiry for 2016 Mercedes-Benz Sprinter Passenger Vans 2500 144"